Binah is the palace Hokmah builds as He spreads out from the primordial point. If Hokmah is the source, Binah is the river that flows from it, separating into its various branches until they all empty into the great sea of the last Sefirah. But in Binah all forms are already formed. ...Hesed is not only the Sefirah of grace and love...it is also the moment of expansion of the divine substance, which spreads out to the edge of infinity. It is the care of the living for the dead, but someone also must have observed that it is the care of the dead for the living. symbolism of the Chakra system of Kundalini Yoga, and compared it to stages of psychological/spiritual development. I think the parallels are very compelling, and consistent with advaita at a higher level. Here are some excerpts from a book, "The Psychology of Kundalini Yoga", edited by Sonu Shamdasani, that documents these lectures. ``You know, it is sometimes an ideal not to have any kind of convictions or feelings that are not based upon reality. One must even educate people, when they have to cross from manipura to anahata, that their emotions ought to have a real basis, that they cannot swear hell and damnation at somebody on a mere assumption, and that there are absolute reasons why they are not justified in doing such a thing. They really have to learn that their feelings should be based on facts. If you have reached that level, you begin to leave anahata, because you have succeeded in dissolving the absolute union of material external facts with internal or psychical facts. You begin to consider the game of the world as your game, the people that appear outside as exponents of your psychical condition. Whatever befalls you, whatever experience or adventure you have in the external world, is your own experience. For example, an analysis does not depend on who the analyst is. It is your own experience[...]When he really begins to see it as his own experience, then he realizes that Dr. Jung, the partner in the game, is only relative. He is what the patient thinks of him. He is simply a hook on which you are hanging your garment; he is not so substantial as he seems to be. He is also your subjective experience. visuddha the whole game of the world becomes your subjective experience. The world itself becomes a reflection of the psyche. For instance, when I say that the world consists of psychical images only--that whatever you touch, whatever you experience, is imagined because you cannot perceive anything else; that if you touch this table, you might think it substantial, but what you really experience is a peculiar message from the tactile nerves to your brain[...] and your brain even is also only an image up here--when I say such a heretical thing I am on the way to visuddha. If I should succeed--and I hope I shall not--in taking all of you up to visuddha, you would certainly complain; you would stifle, you would not be able to breathe any longer, because there is nothing you could possibly breathe. It is ether. That is only the fifth cakra, and we are already out of breath--literally so--we are beyond the air we breathe; we are reaching, say, into the remote future of mankind, or of ourselves. [...] Therefore it is rather bold to speak of the sixth cakra, which is naturally completely beyond our reach, because we have not even arrived at visuddha. But since we have that symbolism we can at least construct something theoretical about it. condition, it is now in the full blazing white light, fully conscious. In other words, the God that has been dormant in muladhara is here fully awake, the only reality; and therefore this center has been called the condition in which one unites with Siva. One could say it was the center of the unio mystica with the power of God, meaning that absolute reality where one is nothing but psychic reality, yet confronted with the psychic reality that one is not. And that is God. God is the eternal psychical object. God is simply a word for the non-ego. In visuddha psychical reality was still opposed to physical reality. Therefore one still used the support of the white elephant to sustain the reality of the psyche. Psychical facts still took place within us, although they had a life of their own. But in the ajna center the psyche gets wings--here you know you are nothing but psyche. And yet there is another psyche, a counterpart to your psychical reality, the non-ego reality, the thing that is not even to be called self, and you know that you are going to disappear into it. the force is not demanding it since you are already doing it--since you are the force. And the force returns to the origin, God. To speak about the lotus of the thousand petals above, the sahasrara center, is quite superfluous because that is merely a philosophical concept with no substance to us whatsoever; it is beyond any possible experience. In ajna there is still the experience of the self that is apparently different from the object, God. But in sahasrara one understands that it is not different, and so the next conclusion would be that there is no object, no God, nothing but brahman. There is no experience because it is one, it is without a second. It is dormant, it is not, and therefore it is nirvana. This is an entirely philosophical concept, a mere logical conclusion from the premises above. It is without practical value for us. Question: Do you think the idea is to experience those cakras, which one has gone through, simultaneously? Dr. Jung: Certainly. As I told you, in our actual historical psychological development we have reached anahata and from there we can experience muladhara, and all the subsequent centers of the past, by knowledge of records, and tradition, and also through our unconscious. Suppose somebody reached the ajna center, the state of complete consciousness, not only self-consciousness. That would be an exceedingly extended consciousness which includes everything--energy itself--a consciousness which knows not only "That is Thou" but more than that--every tree, every stone, every breath of air, every rat's tail--all that is yourself; there is nothing that is not yourself. We need magic to be able to receive or invoke the messenger and the communication of the incomprehensible. We recognized that the world comprises reason and unreason; and we also understood that our way needs not only reason but also unreason. This distinction is arbitrary and depends upon the level of comprehension. But one can be certain that the greater part of the world eludes our understanding. We must value the incomprehensible and unreasonable equally, although they are not necessarily equal in themselves; a part of the incomprehensible, however, is only presently incomprehensible and might already concur with reason tomorrow. But as long as one does not understand it, it remains unreasonable. Insofar as the incomprehensible accords with reason, one may try to think it with success; but insofar as it is unreasonable, one needs magical practices to open it up. The practice of magic consists in malting what is not understood understandable in an incomprehensible manner. The magical way is not arbitrary, since that would be understandable, but it arises from incomprehensible grounds. Besides, to speak of grounds is incorrect, since grounds concur with reason. Nor can one speak of the groundless, since hardly anything further can be said about this. The magical way arises by itself If one opens up chaos, magic also arises. ~Carl Jung, The Red Book, Page 314. It is an error to believe that there are magical practices that one can learn. One cannot understand magic. One can only understand what accords with reason. Magic accords with unreason, which one cannot understand. The world accords not only with reason but also with unreason. But just as one employs reason to make sense of the world, in that what is reasonable about it approaches reason, a lack of understanding also accords with unreason. This meeting is magical and eludes comprehension. Magical understanding is what one calls noncomprehension. Everything that works magically is incomprehensible, and the incomprehensible often works magically. One calls incomprehensible workings magical. The magical always surrounds me, always involves me. lt opens spaces that have no doors and leads out into the open where there is no exit. The magical is good and evil and neither good nor evil. Magic is dangerous since what accords with unreason confuses, allures and provokes; and I am always its first victim. Where reason abides, one needs no magic. Hence our time no longer needs magic. Only those without reason needed it to replace their lack of reason. But it is thoroughly unreasonable to bring together what suits reason with magic since they have nothing to do with one another. Both become spoiled through being brought together. Therefore all those lacking reason quite rightly fall into superfluity and disregard. A rational man of this time will therefore never use magic. value the incomprehensible and unreasonable equally, although they are not necessarily equal in themselves; a part of the incomprehensible, however, is only presently incomprehensible and might already concur with reason tomorrow. But as long as one does not understand it, it remains unreasonable. Insofar as the incomprehensible accords with reason, one may try to think it with success; but insofar as it is unreasonable, one needs magical practices to open it up. grounds is incorrect, since grounds concur with reason. Nor can one speak of the groundless, since hardly anything further can be said about this. The magical way arises by itself If one opens up chaos, magic also arises. One can teach the way that leads to chaos, but one cannot teach magic. One can only remain silent about this, which seems to be the best apprenticeship. This view is confusing, but this is what magic is like. Where reason establishes order and clarity, magic causes disarray and a lack of clarity. the understandable, since only by means of reason can the understandable be created. No one can say how to use reason, but it does arise if one tries to express only what an opening of chaos means. Anne Baring writes about the Tree of Life: I discovered that one of the oldest and most important images of Kabbalah is the Tree of Life. I felt that through my visionary dream I had been led to this tradition to which the early messages seemed to refer: “Find the Stone at the foot of the Tree,” they had said. 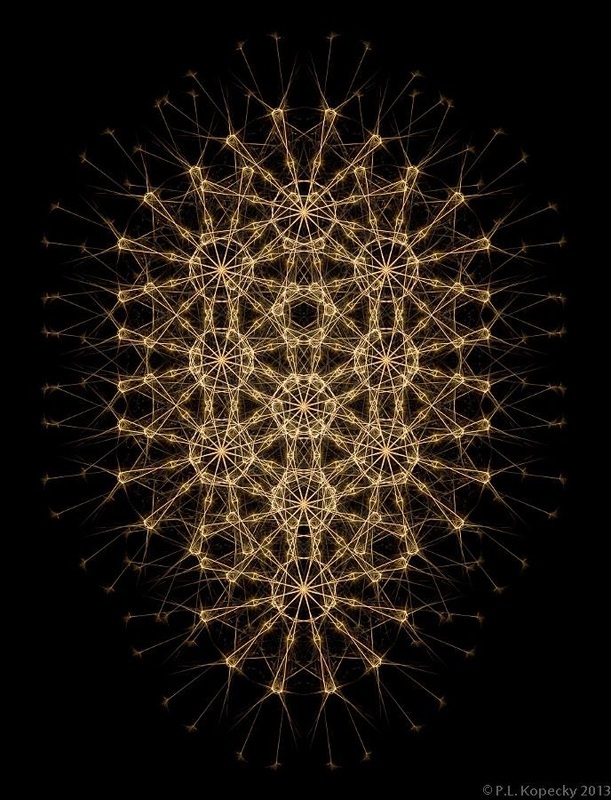 As I uncovered more about this tradition, it seemed to me that the Tree of Life was a clear and wonderful diagram describing the web of relationships which connect invisible spirit with the fabric of life in this world. At the innermost level or dimension of reality is the unmanifest and knowable divine ground; at the outermost the physical forms we call nature, body and matter. Linking the two is the archetypal template of the Tree of Life – an inverted tree – whose branches grow from its root in the divine ground and extend through invisible worlds or dimensions of being. In this template the nature and properties of the different dimensions or levels of reality and their relationships with each other are described and defined. Every aspect of creation, both visible and invisible, is interwoven with every other aspect. All is one life, one cosmic symphony, one integrated whole. We participate in the divine life which informs all these mysterious levels of reality. Our lives are inseparable from the inner life of the cosmos. The Shekinah is the image of the Divine Feminine or the Feminine Face of God as it was conceived in this mystical tradition of Judaism, originating perhaps in the Rabbinic Schools of Babylon, and transmitted orally for a thousand years and more until it flowered in the writings of the Jewish kabbalists of medieval Spain and south-western France and later, in those of sixteenth century Palestine. 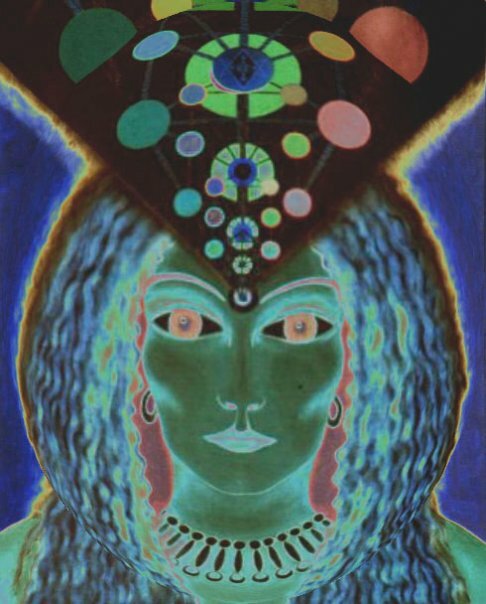 In the imagery and mythology of the Shekinah, we encounter the most complete description of cosmic soul and the indissoluble relationship between the two primary aspects of the god-head that has been lost or hidden for centuries. Throughout the ages, there has been a branch of knowledge, which focuses on the domain of the spirit. Spiritual existence is that which is never lost. The common core of most religions is devotional mysticism, based on the Sound Current, Word, or Holy Name. It is rooted in meditation (inner journeys) whether it appears in Judaism, Sufism, Tantra, Taoism, etc. While science explores outer phenomena, the field of mysticism explores the inner realms, which can be perceived only by our soul. A study of the different major religions reveals that each has an esoteric core. The essence of each religion is the union of the soul with God. Mysticism is the study of how we can achieve this divine communion with the Lord. Martin Buber explained that the ecstasy is not a sudden absorption into the Universal Soul, but a steady progress forward, progress which is constant and well-controlled. God pervades the entire creation. The soul of man is a spark of Divinity and our principle duty is to take the soul back to its source. This can be done by the power of Shekhina, the equivalent of the Name or Word, which is described as the Emanation and Glory of God whose presence and power sustain every creature. The Masters or Zaddiks preached the banishing of all worldly desires and merging them in a single desire to meet God. The purpose of this introductory essay is to familiarize us with some important aspects of the mystical tradition of Judaism. The Jews over the ages have tended to discourage the practice of magic or practical qabalah, choosing instead to keep their emphasis on love. Both Talmudic and Kabbalistic schools emphasize the need of mentors or Masters, well-familiar with the experiential territory. 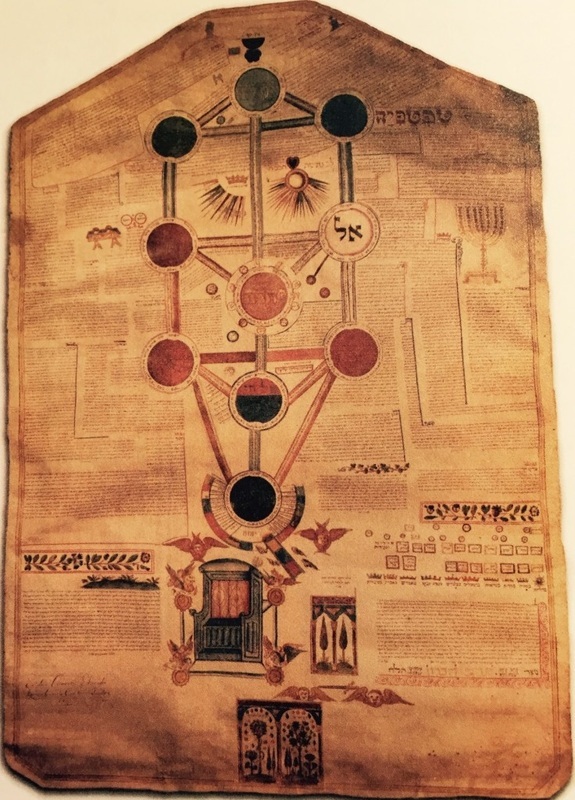 Nevertheless, an extremely useful generic map of the in-scape of mysticism was developed in Jewish Kabbalah, called the Tree of Life. Mysticism considers the human life as the fruit of the Tree of Life, and encourages meditation to unite with God on the path of Return while still living. It describes each of the domains of the inner planes on the soul's journey back to reunion with God in its true Home, Kether. 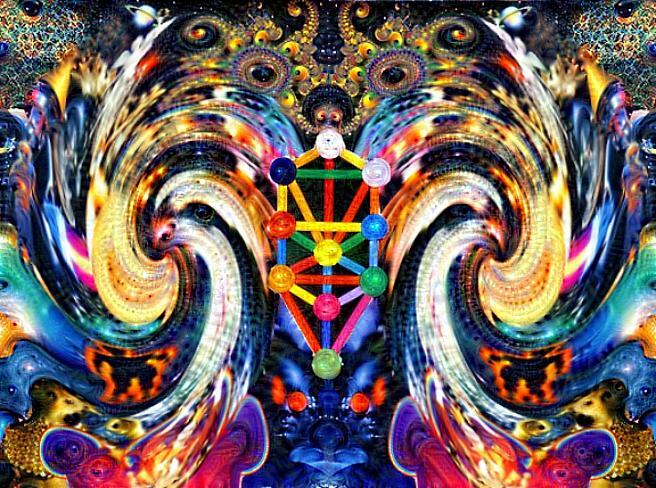 Kabbalah is the study of the system of our spiritual roots which emanate from Above. There is none else but the Creator. According to contemporary Kabbalists of B'nai Baruch, "The Kabbalah teaches the cause effect connection of our spiritual sources. Both mankind as a whole and each and every individual has to attain his highest point of understand the goal and the program of the creation in all of its fullness. In each generation there were people who by constant self work reached a certain spiritual level. In other words, while walking up the ladder, they managed to reach the top. In the spiritual world the main factor of discovery and comprehension is not time but rather purity of spirit, thought and desire." The part of Kabbalah that deals with the study of form without matter is totally based on experimental control and therefore can be verified and tested!" The kabbalistic imperative is to transcend the bounds of the ego. "How can a beginner master this science when he cannot even properly understand his teacher? The answer is very simple It is only possible when we spiritually lift ourselves up above this world. This is possible only if we rid ourselves of all of the traces of material egoism and accept the spiritual values as the only ones. Only the longing and the passion for the spiritual in our world, is the key for the higher world. A person's main objective is to elevate the importance of the Creator in his own eyes, i.e. to acquire faith in His greatness and might, since this is his only possibility to escape from the prison of personal egoism, and into the higher worlds. The method of breaking free from the slavery of egoism is found in the Kabbalah. The worst egotism is arrogance and conceit. Only those who engage in the study of Kabbalah for self-improvement will benefit." These kabbalists say we must reach spiritual levels in order not to be reincarnated. We must perfect the parts of the soul, Nefesh-Ruach-Neshama-Chaya-Yechida, physical, emotional, mental and spiritual. Historical researches conducted in ancient Egypt have revealed that "what was known as the worship of the Word" was quite extensively prevalent during the times of the Pharaohs some 3,000 years ago. Moses, who organized a successful revolt of Jewish slave sin that country and led them on to the establishment of an independent state of their own, was brought up in the court of a Pharaoh, and seems to have been quite conversant with the worship of the Word. According to the Bible, the prophet Moses communed with God "mouth to mouth." This implies a personal experience of the Divine -- a mystic experience. At God's behest, Moses brought the Torah -- the divine "teaching" or "revelation" -- to the children of Israel. Thus the early Israelites also had a direct mystical experience of God. Many of the patriarchs and prophets whose lives and teachings are given in the Bible are described as mystics who heard God's "voice" and "Word," who relied on His "Name," and otherwise had direct communion with Him. According to J. Abelson, an early twentieth-century scholar of Jewish mysticism, "Jewish mysticism is as old as the Old Testament...The Old Testament scintillates with sublime examples of men whose communion with God was a thing of intense reality to them." It is important to remember that the Hebrew Bible as we know it today is not an exact and accurate rendering of the words of the mystics and prophets. Contemporary scholars, tracing the styles of several scribes in its narratives, have concluded that the Hebrew Bible is probably the work of several authors of different periods, with differing purposes and levels of spiritual attainment. Throughout history, scribes and scholars of all religions have subtly altered the teachings of the mystics, albeit unintentionally. Because they were not of the same spiritual level as the mystics whose works they were attempting to record, and because they were often writing from memory, these scribes may have unwittingly misinterpreted or obscured the mystics' teachings. In many places in the Bible, therefore, the mystical aspects or implications of the prophets' message may actually have been lost. Mystics often couched their teachings in parables and symbols, so that the deeper meaning of their words would be hidden to all but their closest disciplines. In some instances, for example, where the prophets appear to be speaking about political or social issues, they may have also been speaking on a mystical or esoteric level, with the political or social situation used as an allegory or symbol. During the period of the prophets, the priestly classes were the primary authority in Judaism. The priests performed specific religious functions in the temple in Jerusalem, and in daily Jewish life as well. With the destruction by the Romans of the second temple in the year 70 C.E., the role of the priestly classes began to change and their power started started diminishing. The institution of the "rabbi" (literally, "teacher," or "master"), as the primary authority in Judaism, arose during the first and second centuries C.E., becoming greatly strengthened during the period of Islamic rule, and continuing until today. The discovery of the scrolls at Qumran and other long-hidden early texts reveals that, from the second century B.C.E. and possibly even earlier, there were several ascetic and possibly mystical sects coexisting with the mainstream of organized priestly Judaism. It is believed that John the Baptist, and probably even Jesus of Nazareth, came from one of these sects, the Essenes. The teachings of Philo Judaeus, the first-century Jewish mystic of Alexandria, Egypt, are of great interest from the mystical point of view. Philo wrote about God as the Word or Logos. For many centuries, Philo had more influence on Christianity than on Judaism, because until the 1700s his writings were hardly known to Jewish scholars and theologians. In the same spirit as Philo, the commentators Onkelos and Jonathan ben Uzziel, in their Aramaic translations of the Hebrew Bible, rendered the name of God Jehovah (wherever it appears) as the memra, or "utterance," clearly a reference to the creative Word, or Sound, of God. After the Bible, the second great written work in Jewish history is the Talmud, which represents almost one thousand years of rabbinic thought. Its foundation were laid during the middle of the fourth century B.C.E. in the community of the returned exiles from Bab ylonia. The Talmud exists in two versions -- one Palestinian and the other Babylonian (both edited during the fifth century C.E.) -- reflecting the thinking of the two academies of rabbis. Most of the Talmud is concerned with law, but it also contains a good deal of moralistic, legendary, and mystical material. Some teachers of the Talmud cultivated the mystical life...[but] while recording the views of those teachers who sought to cultivate mystical interest, the Talmud indicates that the religious authorities of the time tried to discourage this tendency. . .In some instances mystical pursuits became intertwined with magic, which was, no doubt, an additional factor that inspired the effort to discourage it. Contemporary rabbi David Blumenthal explains that during the talmudic period, some of the rabbinic tradition rubbed off on Jewish mysticism, hence the intellectualism or "bookishness" of Jewish mystic literature. He says that the general concept of Judaism that we have today stems from rabbinic Judaism. From then on, those rabbis who were devoted to the mystic life tend to be secretive about their teachings and practice, using esoteric symbols and stories that could be understood only by the "initiated." But still, Blumenthal explains, during the course of Jewish history there was often a give-and-take between the rationalistic rabbis and the mystics; and just as mysticism tended to be expressed in intellectual terms, often the scholarship of the rationalists became infused with a suppressed mystic yearning. "There is hardly a symbol, act, or belief in the rabbinic tradition which was not touched, and transformed by the mystical tradition." The mystical side of Judaism during the talmudic period and continuing into the Middle Ages is represented for the most part in the heckalot literature. Heckalot literally means "palaces," or "halls." These works describe the meditation practices of Jewish mystic who were attempting to take the mystic journey through the iner regions or palaces on the merkavah, "chariot," of light and sound. The chariot metaphor is taken from the mystic experiences of Elijah and Ezekiel in the bible. Most of the works describing the merkavah journey were written between the first century B.C.E. and the tenth century C.E. and are called the greater and lesser heckalot. Sometime between the third and sixth centuries C.E. appeared one of the most powerful works of Jewish mysticism to survive till this day. Only two thousand words long, the Sefer Yetzirah ("Book of Formation") is an attempt to describe the mystery and structure of creation by means of numbers, and as such it is similar to the teachings of Pythagoras. With a minimum of words, it describes the creation as series of emanations from the one divine Name, Word, or utterance. The concept of creation by emanation is also found in the literature of the medieval Jewish mystics, many of whom were part of the Sufi mystic tradition in Egypt and Spain. Sufism was a mystic teaching which appeared in the Islamic world from approximately the tenth century. The focus of Sufi philosophy was God-realization through mystic practice and devotion rather than through intellectual pursuit or performance of ritual. The Sufis emphasized the need to control the mind and senses and eliminate the ego in order to travel on the spiritual path. Jewish Sufi manuscripts discovered during the late nineteenth century in the Cairo Genizah (a hidden attic in an ancient synagogue) have shed great light on the close relationship between Jewish and Muslim mystics of medieval times. From the eleventh to fourteenth centuries, Jewish mystics translated and freely quoted from Sufi mystical writings, and some pursued the spiritual path under the guidance of Sufi masters. Similarly, during almost the same period, Jewish mystics in Persia and Turkey shared a devotional spirit with the Muslim mystics of their time. Many read Hebrew translations of the works of Rumi and Sa'adi. The Jewish mystics in the Sufi tradition were sometimes called hasidim ("devotees," "pious ones"). Althought this movement, and the Hasidei Ashkenaz movement which arose in Germany during the thirteenth century, were not connected historically with what later became known as Hasidism -- the ecstatic religious movement which began in eighteenth century Poland -- they foreshadowed many of its elements, particularly the emphasis on devotion, spiritual inwardness, and personal experience of God. Bahya ibn Paquda of eleventh-century Spain was a mystic in the Sufi tradition. His book Hovot ha-Levavot, "Duties of the Hearts," deals with the life of the true "servant," the devotee yearning for the mystical life. Solmon ibn Gebirol, also known as Avicebron, was Bahya's older contemporary; in his mystical work Mekor Haym, "Fountain of Life," he described the creation as a series of emanation from the primal source of light. This teaching was echoed by many later Jewish mystics, especially the Kabbalists, and parallels the descriptions of the creation given by mystics from many traditions. Moses Maimonides, author of the philosophic masterpiece The Guide for the Perplexed, lived in Cairo during the twelfth century. Noted as a philosopher, physician, and rationalist, Maimonides was also a mystic who stressed the possibility of direct spiritual experience through mystic practice. His son Abraham and grandson Obadyah were mystics in the Sufi tradition, whose works have recently been rediscovered and published. The most renowned aspect of Jewish mysticism, which has almost taken on life as a religious movement and influence in itself, is the Kabbalah, which literally means "receiving" or "tradition." The development of Jewish Sufism may have prepared the way for acceptance and growth of the Kabbalah. The term Kabbalah is normally used to refer to a large number of complex, esoteric works dating from the thirteenth century which draw on the Bible, the Talmud, and other texts. Its precursors were the Sefer Yetzirah, the works of Ibn Gebirol, and the twelfth-century work, the Sefer ha-Bahir ("Book of Brilliance"). But when most contemporary Jews think of the Kabbalah, they generally have in mind the Zohar ("Radiance" or "Shining"), the longest and most influential work of the Kabbalah. Although it had been widely believed that the Zohar was written during the more ancient talmudic period by Rabbi Simeon bar Yohai, recent scholarship has shown that, at the earliest, it was written in the late thirteenth century by Moses de Leon of Spain. At that time, it was not uncommon for authors of religious texts to claim that they had discovered manuscripts written in earlier periods. Such works are called pseudo-epigraphic. They seek the authenticity and credibility that come from authorship by an ancient, respected master. However, although De Leon may have been the actual writer of the Zohar, many scholars and students of mysticism feel that he was indeed compiling, recording, and synthesizing mystical traditions dating from earlier times. Clearly, many of the Zohar's underlying principles coincide with universal mystic teachings -- for instance, the theory of creation as an emanation from the original divine light; the concept of spiritual, astral, and physical levels of creation; reincarnation, etc. But the Jewish mystics of the Zohar gave expression to their mystic experiences by linking them to biblical references and couching them in terms acceptable to Jewish tradition. Also enmeshed in the Zohar are accretions of legend, ritual, and superstition that reflect the influences of the many cultures in which Jewish mystics and seekers lived after their exile from Judea. The Kabbalists maintained that God's real Torah, or teaching, is the Zohar, and that what we commonly know as the Torah is a hint to the Zohar's esoteric teachings. They felt that God gave the Zohar and other kabbalistic works for those initiated into "the inner mysteries," and that the Bible exists as a hint to those esoteric teachings. They often referred to the Kabbalah as "the hidden science." Most of the works grouped in the Kabbalah teach a theosophy or cosmogony concerning the nature of God and structure of the universe. In contrast to the Sufi teaching, they do not generally urge a devotional approach in pursuing direct experience of and attachment to the Divine. In this sense, Kabbalah becomes what the Indians call gyana yoga, "the yoga of knowledge," where the Sufi or hasidic tradition is more like bhakti yoga, "the yoga of devotion." As Bokser explained, the Kabbalah "proceeds through an intricate web of esoteric symbols, and its offering is primarily a gnosis, an esoteric knowledge which in itself is said to yield man the highest rewards of divine commendation." The Kabblah was an influence not only on the Jew; Christian scholars looked into its symbols and allegories and found symbols of Jesus and his teachings. The Kabbalah is also the focus of Freemasonry and other secret societies, which have as their goal the discovery of mystical knowledge they believe to have been handed down through the generation since the time of Adam [the 'Lost Word" in Masonry]. According to the Freemasons, the Zohar itself is the vehicle of the most profound religious mysteries, reveal only orally in previous ages, to which hints exist in secret manuscripts. Abraham Abulafia, a mystic and student of Kabbalah of thirteenth-century Spain and Italy, taught his followers an actual system of meditation and concentration based on combinations and permutations of letters and words, with the goal of entering the inner spiritual realms. Abulafia was excommunicated as a heretic by the orthodox Jewish authorities of his time, and many of his manuscripts were lost for several centuries. Today modern researchers have been successfully unearthing and studying them, bring to light a lost chapter in Jewish mystical history. Although some Jewish mystics claim success in following the complicated practices of letter and word combinations and permutations, as taught by Abulafia and other Kabbalists, there are many more stories relating the dangers and pitfalls experienced within by practitioners. Despite the dangers, however, some Jewish mystics continued to teach these practices openly until the sixteenth century, when it became more expedient to hide their use; and by the eighteenth century they had almost died out. Since the 1970s in the United States, however, with the resurgence of interest in Jewish mysticism and Kabbalah, a number of seekers have begun attempting these techniques once again, using old manuscripts as models and guides. By the sixteenth and seventeenth centuries, many Kabbalists had gathered in Safed, Palestine. Rabbi Isaac Luria, who was known as ha-Ari ("the Lion"), was the center of this circle of Safed mystics. Also known as "the divine Rabbi Isaac," he was said to possess "the holy spirit" and to have been given "the revelation of Elijah," Luria appears to have transformed the doctrine of emanation described in the Zohar into amore complex system and also taught name and letter combination techniques for concentration. During the seventeenth century, a Jewish mystic by the name or Sarmad settled in India. Born into a rabbinical family of Kashan, Persia, he came to India as a trader and experienced a spiritual transformation. Sarmad is still revered throughout India, yet little is known about the details of his life, and western Judaism is largely unaware of him. From his teachings, however, we can see that Sarmad was a true mystic of the highest order, a sauna who transcended the outer formalities of religion and found the Lord within himself. He sang of union with the Name, the inner divine music. Some sources say he converted to Islam and then to Hinduism, but if one reads his rubaiyats carefully, it is clear that although he examined all religions, he rejected their external limitations, embracing the inner teaching which he recognized as only One. He boldly sang of his unconventional love for the Lord and taught others to do the same. Ultimately, in 1959/60 he was beheaded as a heretic by Aurangzeb, Mogul emperor of India. The most recent flourishing of mysticism in Judaism is Hasidism, which appeared in Poland at the end of the eighteenth century, a time when Jews were being persecuted at the hands of the authorities. There was deep yearning for God to reveal himself, for a religious renewal which would lift the soul out of the sufferings of the world. Hasidism fulfilled this need and was the movement which quickly transformed Judaism. During this time, many spiritual teachers appeared, who were call rebbes or zaddiks ("masters") by their disciples. The first Hassidic master, the Ba'al Shem Tov (literally, "Master of the Good Name") was a simple, uneducated man -- the antithesis of the traditional rabbi, who was generally a scholar and an intellectual. The Ba'al Shem Tov communed with God internally and preferred the stillness of nature to the synagogue. It is said that he was able to speak to and understand the birds and animals. He spoke of seeing the divine Light and taught his followers the importance of devekut, "attachment" or cleaving to God at every moment of their lives. There were many other hasidic masters, like Rabbi Nahman of Batslav and Dov Baer, the Maggid ("spiritual channel") of Mezherich -- spiritual teachers whose legends and parables are quoted even in present times. At first the Hasidim were considered as heretics by mainstream Jewish rabbis and the community at large; some were even excommunicated and their writings put in herem, "quarantine," and reading them was forbidden. Later, however, as the hasidic rebbes gathered more and more adherents, their teachings spread and gained strength amongst the people. Nowadays, the descendants of the Hasidim still follow the rebbes of their respective lines, but the teachings have for the most part become another form of orthodox ritual and study of scripture, though sometimes infused with an intensity, joy, and fervor that reflect their true hasidic origin. At the end of the nineteenth century there was a decline in mystical seeking in Judaism, as the Haskalah, the 'enlightenment" movement, took over. All over the world, science became the new god, and people rejected religion -- especially mysticism -- as superstition. However, in certain parts of Europe there were small groups of mystics who continued to study the Kabbalah, while some hasidic lines maintained their integrity, if not always the purity of their original purpose. The mystical spirit that craves for a direct encounter with God, for a fresh illumination of soul, is not content with pondering a tradition, even a mystical tradition. To gain this boon the mystic must travel the lone road of meditation, of struggling with his own opaque material self, to break the barrier that separates him from God and to enter directly into contact with the divine mystery. Over the ages, mystics have used many metaphors to convey the state of the soul's longing to return to its. source. Rabbi Isaac Luria wrote of the soul as a spark of the divine light, from which it had separated at the time of creation and with which it longs to be reunited. He spoke of the lower self as a kelipah, a "shell" or "husk," that encases our souls, our holy spark. Although we are truly spiritual, our imprisonment in these shells prevents us from knowing and experiencing our spiritual essence. The purpose of human life is to break the shells and liberate the sparks, freeing them to reunite with the original, eternal light. This state of restoration was called tikkun -- "redemption" or "perfection." The spiritual Master, the mystic, comes to this world to teach a method of freeing the soul -- the spark -- from the shell of mind and illusion, so it can merge back into God. This is the real unification, or yoga. 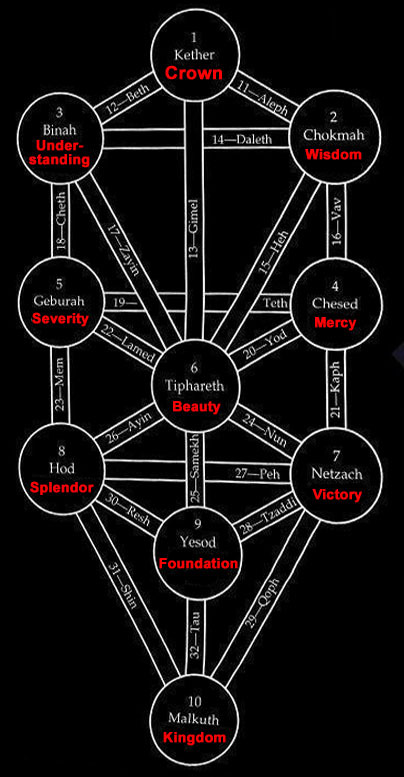 Some Kabbalists taught that each of the realms of Atziluth, Briah, Yetzirah, and Assiah was made of respectively higher and lower intensities of all ten sefirot. 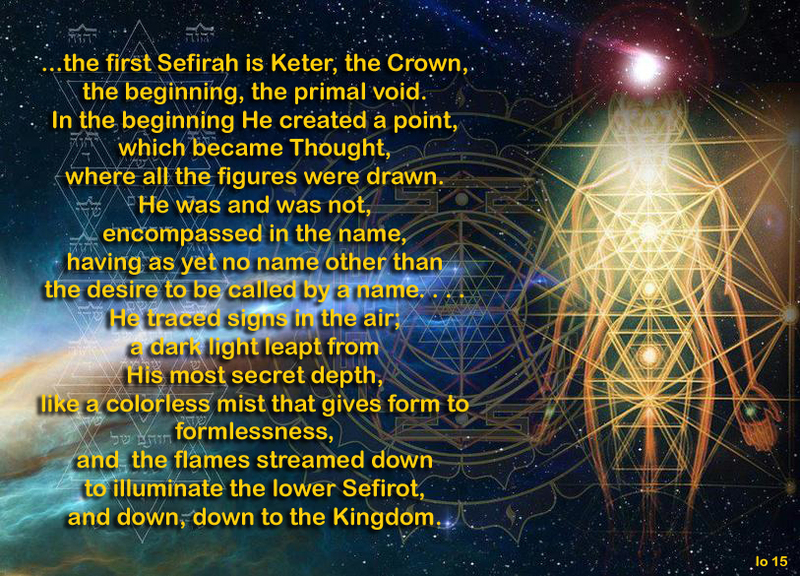 They envisioned the ten sefira of the world of Assiah as existing in the human body itself, with each sefirah corresponding to a particular function or energy center of the body. 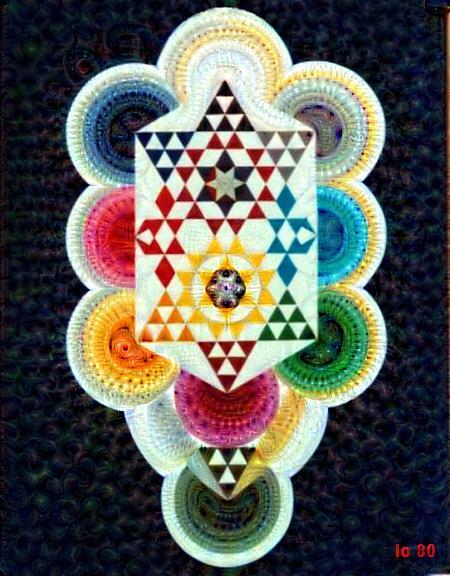 The Kabbalists used the image of the Tree of Life to describe the relationship between the sefirot when manifested in the human body. In various Jewish meditational practices, the tree serves as a diagram of the various steps or stations a practitioner needs to traverse in the course of his or her inner mystic journey to spiritual union. Similarly, Indian yogis and mystics describe a series of chakras or energy center in the body, upon which they meditate during certain practices of yoga. These chakras have a direct correspondence to the sefirot of the Tree of Life in the realm of Assiah (the Physical Plane). 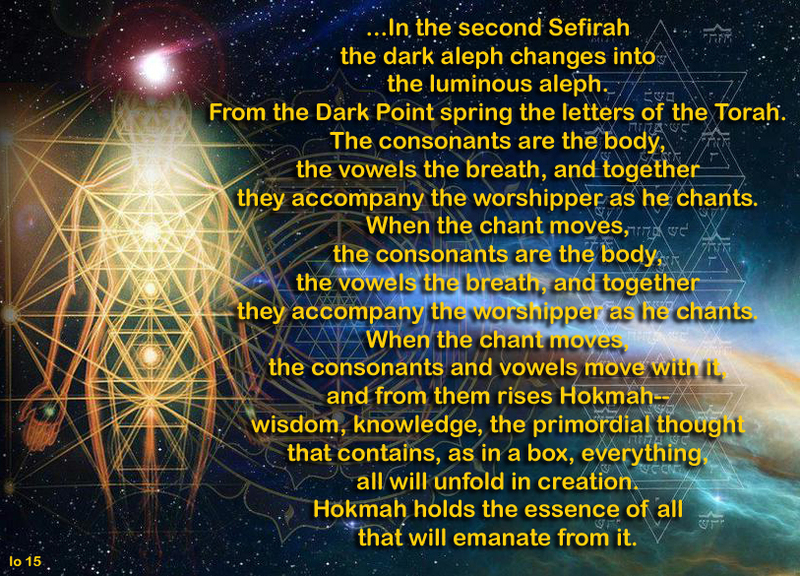 All saints teach that the creation came from the Word, the holy Name of God, the Shabd -- the divine energy of life, the divine music, the audible life stream -- which activates the creation and manifests as sound and light, emanating from En-Sof -- the realm of pure Spirit. The goal of spiritual practice is to reverse this process of creation on an individual level -- of the soul's separation from the divine source and imprisonment in matter. Jewish mystics call it tikkun, "fixing," but Indian mystics simply describe it as the merging of the soul into its divine source, so that it never again has to experience separation and imprisonment in the material creation. The purpose of the creation cannot be understood at the level of intellect. The causal, astral and physical planes are composed of spirit mixed with varying degrees of matter, and thus are subject to change and disintegration. They are not eternal or true; love exists in limited quantities there, but negativity is also present. In Judaism, man is said to have two inclination or impulses: the good inclination (soul) and the evil inclination (mind and body/desire nature). What is good or evil can be distinguished easily, for one either moves closer to or further sway from the Lord. Since the Lord, the pure spiritual being, is light, to obscure that light results in what we call evil. Though in many respects evil is only a lesser good an there is no such things as evil per se...it is but a show, a lesser light. Whatever pulls us away from the Lord and realizing Him within us is evil; whatever leads us toward Him is good. Just as there is one Lord for everyone, so the soul which is His essence, is one and the same in everyone. Though our bodies may differ, the spiritual essence that activates it and gives us life is the same. We must get in touch with the divine Name He has placed within us.